After being falsely accused of a murder, Marcos (Demian Alcazar) runs away to the small and quiet town of Cuevano, where he has relatives. There, he finds that the family matters are more complicated than his, and that the complexities of small-town life are richer (and more dangerous) than his apparently sophisticated life in the big city. 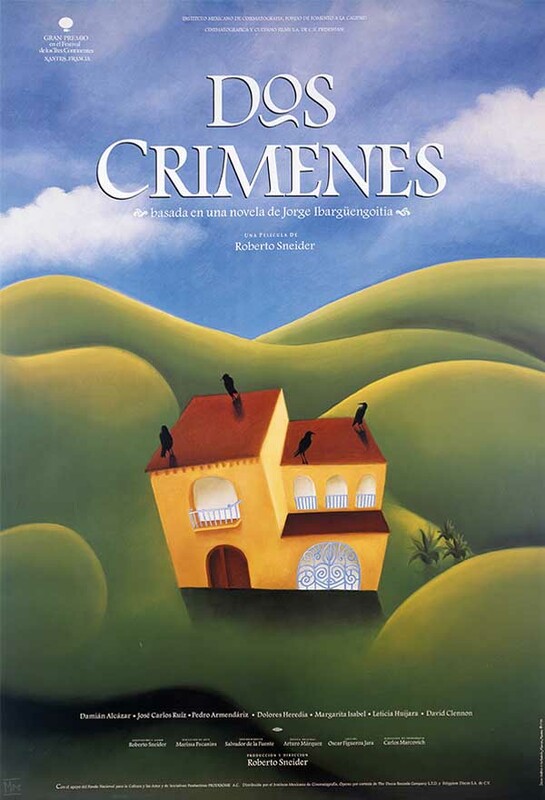 Based on the novel with the same name by Mexican novelist and playwright, Jorge Ibargüengoitia, “Dos Crimenes” is Roberto Sneider’s directorial debut. This comedy earned Roberto three Mexican Academy Awards and more than fifteen international awards, and it also became the most successful film of the year in the Mexican box office in 1995.